The Amarr Navy and Ministry of Internal Order released a joint statement confirming that a task force from the famed GÇ£SaracensGÇ¥ 7th Fleet has been deployed in order to handle recent incidents regarding Blood Raiders Forces. DUST mercenaries are called upon for assistance, and anyone fulfilling the requirements in the upcoming week will be rewarded with a Skill Tree Reset as well as one of the salvaged Blood Raiders 'Crimson' SKIN modules. This module is rumored to have been designed by Tairei Namazoth - notorious Blood Raiders Officer. 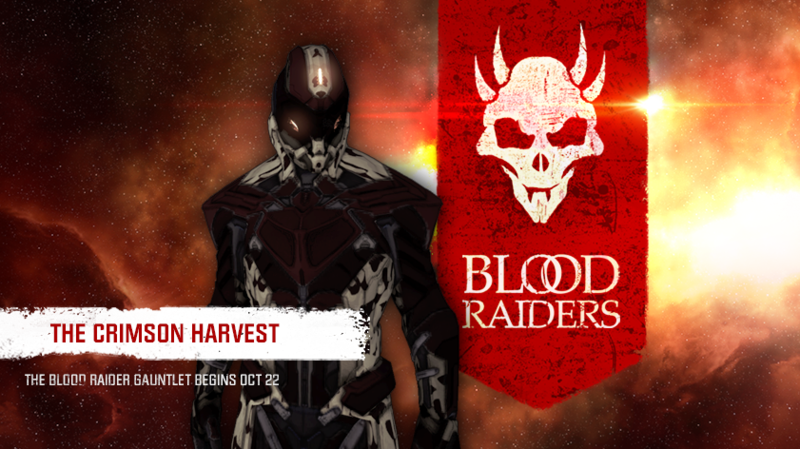 Time Period: Oct 22 11:00 UTC - Oct 29 11:00 UTC. Kill 514 enemies. Reward: Skill Tree Reset and Refund. Win 21 matches. Reward: GÇÿTaireiGÇÖs CrimsonGÇÖ AM-L SKIN Module.